Mark Zuckerberg will focus on solving issues confronting the social network, including Russian interference, the spread of hate, and harassment and abuse. "We needed to get serious." That's the message from Facebook co-founder and CEO Mark Zuckerberg, who kicked off 2018 with an open letter in which he pledged to fix the myriad of issues that have flared up in the past year. The first step this year concerns his own attention, which will be more wide ranging than managing decisions and shaping the company's rules. That includes bringing "groups of experts together," he said in the post Thursday. "These issues touch on questions of history, civics, political philosophy, media, government, and of course technology," he added. The post caps a tumultuous 2017 for both Facebook and Zuckerberg personally. It began with Zuckerberg's dismissiveness about Facebook's role in spreading false information that helped Russia meddle in the 2016 election, and ended with representatives from Facebook, Google and Twitter telling lawmakers their respective services had in fact been twisted into tools of propaganda. This isn't the first time Zuckerberg has promised to tackle this issue. 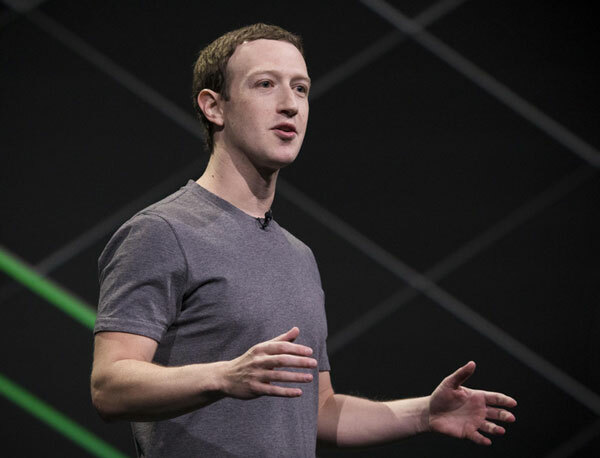 In November, he lent his voice to new initiatives from the company to expand the reach of community service organizations across Facebook's more than 2 billion monthly active users. In September, he posted a video outlining his plans to thwart election meddling. And in August, he spoke out against hate groups on Facebook's service as they were being shut down. "We may not be able to solve every problem, but we all have a responsibility to do what we can," he said in a post at the time. "I believe we can do something about the parts of our culture that teach a person to hate someone else." For nearly a decade, Zuckerberg has publicly resolved to take on a personal challenge to better himself or Facebook. In 2009, he said he'd wear a tie every day as a reminder that Facebook needed to get serious about figuring out its business model. The next year, he began learning Mandarin. In 2017, in the wake of a divisive election season, he chose to visit each state in the union. "My hope for this challenge is to get out and talk to more people about how they're living, working and thinking about the future," he said at the time. One thing that hasn't been on his lists is being more open. One of the chuckle-worthy ironies of Facebook is that its co-founder didn't publicly post much beyond what amount to press releases and professional photos. That's begun to change as he's shared more of his feelings. Over the past year, he's spoken out more against President Donald Trump, leading some people to wonder whether he might be preparing his own run for president someday. (He's denied it.) And on Yom Kippur, the Jewish holiday of atonement, he asked forgiveness for the division Facebook has helped cause. "For the ways my work was used to divide people rather than bring us together, I ask forgiveness and I will work to do better," he wrote at the time. He repeated the same themes in his post Thursday. "The world feels anxious and divided, and Facebook has a lot of work to do," he wrote. CNET's Brian Bennett contributed to this report. First published Jan. 4 at 9:13 a.m. PT. Update, 1 p.m. PT: Added more background about Facebook's past year and more details about Zuckerberg's resolutions.